The lab mills can be used in the production of powders in various industries such as chemical industry, materials, metallurgy, ceramics and glass, as well as sample research in universities and research institutes. DECO lab mills are easy to use, flexible in application, simple in structure and low in price, but the grinding time is longer. Compared with the planetary ball mill, the grinding effect is different, suitable for laboratory large-scale production of 300-400 mesh powder. 3. Milling pot in different size can be put on the driven rubber roller within a certain range by means of adjusting space between the rubber rollers. 4. 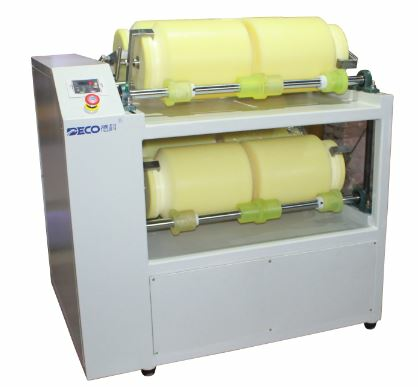 It is convenient to change pots and suitable for both wet and dry grinding.